Our ship management service combines the use of sound engineering principles and modern systems to achieve a healthy result that is not only cost efficient but more importantly, sustainable. Predictive maintenance systems and data analysis is used to optimize repairs and renewals without compromising on the overall efficiency of the machinery. The key to sustainability in a ship’s performance and operating costs is the accuracy and the transparency of its budget predictions. At HDH a lot of time and effort is spent in getting this right from the word go. Close monitoring and analytical tools are then used to make the necessary corrections in a timely manner to arrive at the predicted result. The philosophy of asset preservation is foremost in our minds and in conjunction with Owners’ requirements; a plan is drawn out for execution. As Managers we provide owners with the viable alternatives to choose from, always bearing in mind that operational reliability and Industry standards have to be met and even exceeded. 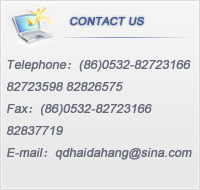 Brief introduction: Qingdao Haidahang is an independent corporation, in charge of job, training, deploying, examination, promotion, award and punishment, welfare and retirement and so on. It mainly takes on the task of labor output at home and abroad. The company has a well training and professional staff. There are more than 570 seafarers including over 200 senior professional person such as senior captain, captain, senior engine master, engine master, etc. Taking "trust-oriented, wining by high-quality, strict management, decision of getting excellence" as the working policy, the company often outputs seafarers to some foreign countries and more than 15 ship-owners from domestic areas such as Europe, America, Japan, Singapore, Hong Kong, Taiwan, etc. the seafarers are covered with more than 300 ports all over the world. The quality policy of Qingdao HAIDAHANG. : to offer well-training and excellent sarfarters and high-efficiency and good services, to insure the security operation of ship, to protect the ocean environment, and to guarantee the customers' benefits. Qingdao HAIDAHANG. The senior seafarers of company are all from some colleges such as Dalian Maritime University, Shanghai Shipping College, Wuhan Traffic Science and Technology university, Qingdao Ocean Seafarers college and so on. The company insists on "our human resources should be used to the best advantage", which is considered as a base of developing for company. So the company offers some conditions for youth to put their abilities to good use on life, job, admittance of certificates and promotion, etc. Many youth abilities are used. During more tan 20 years of HAIDAHANG Shipping Qingdao establishment, the company has already output about one hundred people to work in traffic system, which is the honor of HAIDAHANG Shipping Qingdao. The company's development depends on talents and the talent's training depends on education. The company pays much attention to person's training and invests more and more. Since training base has established for more than 10 years, regarding the build of technological professional talent training base of high-class modern shipping enterprise met the international as the aim, by continually building and developing, the teaching power has enhanced, teaching scale has enlarged, teaching establishment has perfected and teaching quality has improved. It has running abilities of multi-arrangement, multi-category and multi-standard. And it passed many certificates checked by National Maritime Bureau such as "Crew Education and Training Quality SysteCertificate of PRC", "Familiarity and basic Security Training", "Senior Fire Training", "Well First-aid training" and "Medical Training on Board". It settled a foundation for carrying out STCW78/95 international convention and provided an assurance for offering excellent seafarers. Copyright © 2009 Qingdao haidahang shipping co.,ltd All rights reserved.